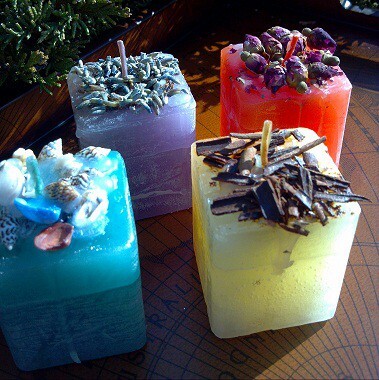 Our newest marriage of light and nature bring together our freshest, therapeutic grade herbs, flowers and shells in collaboration with our beautifully scented square votive candles as a tribute to our Celtic healing information! 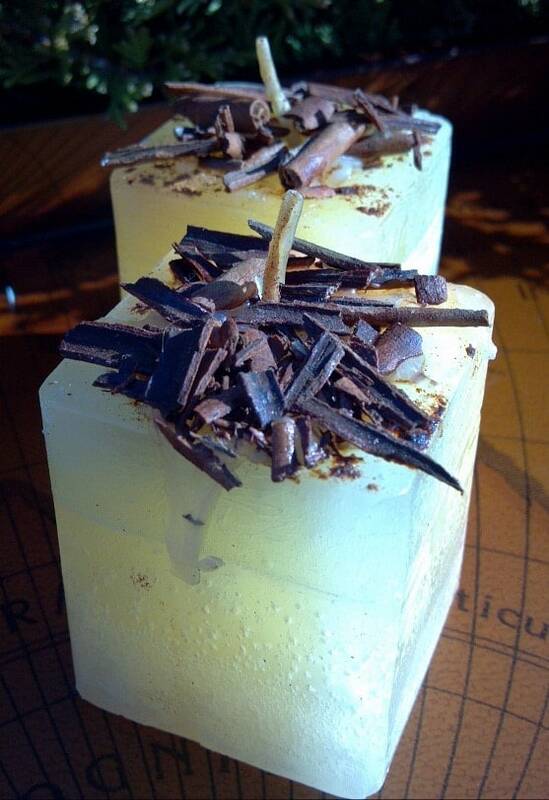 Each of my hand dipped, hand embellished herbal votive candles use my Angel’s Mist 100% pure essential oils. I utilize premium, naturally colored wax and pure cotton wicks. Measuring 1 3/4″ x 2 inches tall, You receive two wonderful votives in complementary colors, beautifully wrapped. They are long lasting with a burn time of about 20-25 hours. Sleepy Lavender: covering fields in rich indigo and purple, these dreamy scented lavender buds are organic and therapeutic grade from Oregon. 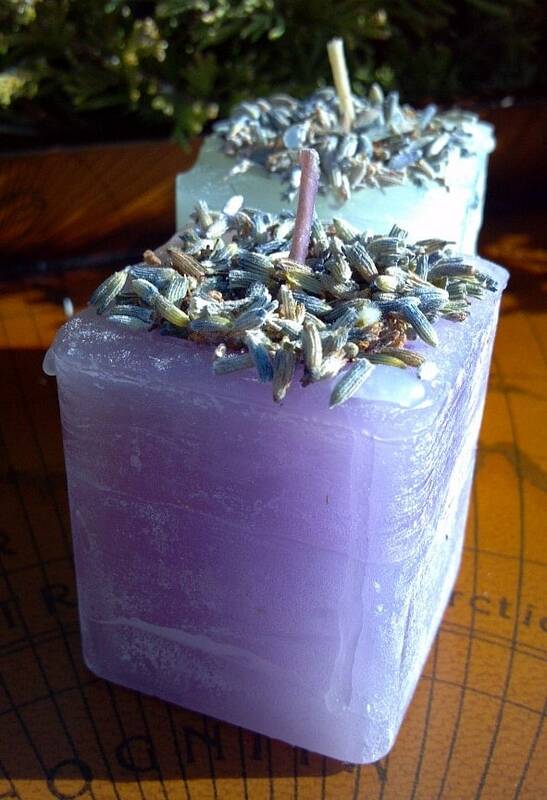 Metaphysically, lavender is one of the greatest healing herbs on earth! 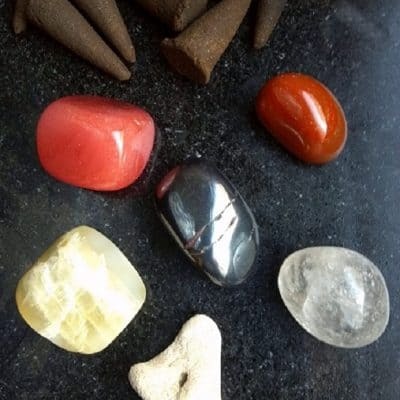 Used for soothing the spirit, calming the central nervous system and welcoming in a peaceful mind. Light these votives to induce a sense of gentle lavender fields dancing in a warm breeze. Romantic Rose : deep and luscious, red rose buds entice a sense of love and caring. The mother of all flowers, roses honor a place in our souls that open our heart, help with healing and bring about a feeling of romance. 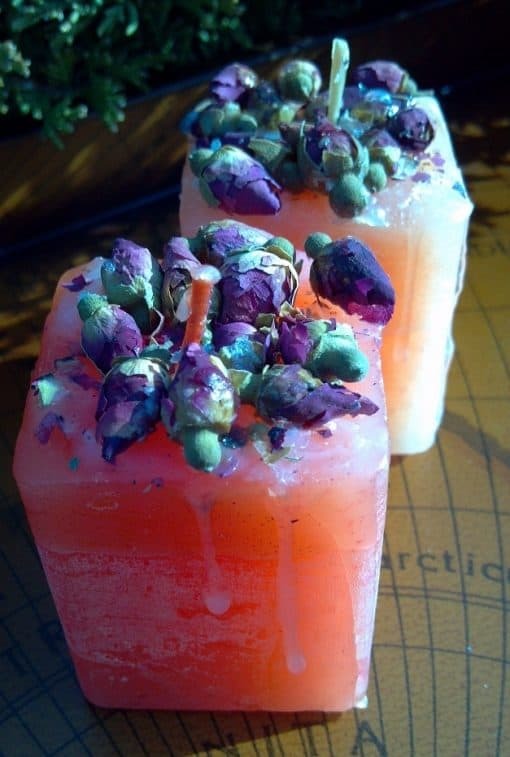 We drench these candles in rose essential oil, nature’s pure power nectar. Cinnamon Orange Kiss: two sacred scents of pungent and sweet, embellish these complimentary colored candles with therapeutic grade cinnamon from Asia and sweet orange essential oil. 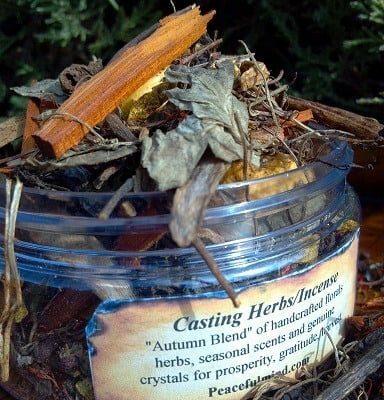 Found to stimulate conversation, invite a sense of trust and happiness, orange and cinnamon are two of the most popular scents for bringing about change in your life. 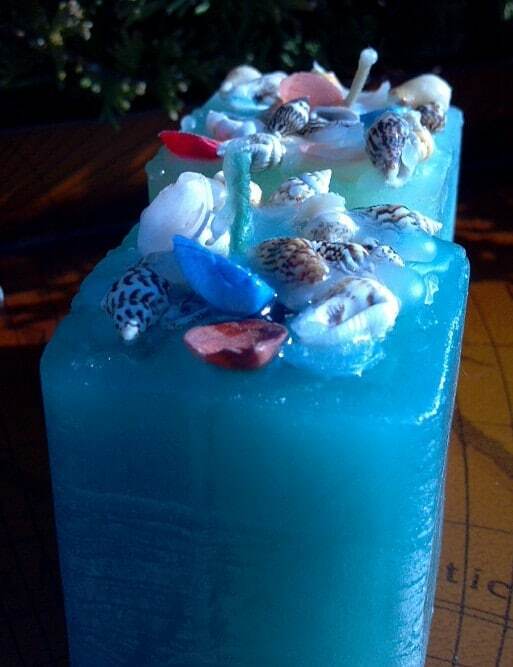 Sacred Shores: profound in scope and rich in metaphysical healing, the sea and its treasure, the seashell, offer us a deep connection to our emotions. Representing a shell-strewn beach under a blue horizon, these complimentary colored candles are accented with a touch of fragrant gardenia and crisp coconut. Prepared to take you away to that beach of your dreams. 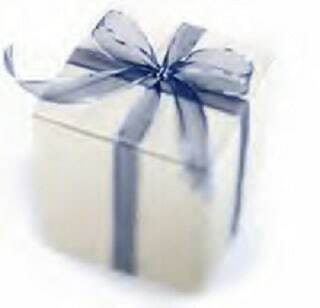 You receive two (2) wonderful votives in complementary colors, beautifully wrapped. They are long lasting with a burn time of about 20-25 hours.